The night before Sunday’s GoPro Grand Prix at Sonoma, a 6.0 earthquake hit nearby Napa, sending shock waves throughout the area. Target Chip Ganassi Racing driver Scott Dixon slept through the temblor, but Team Penske and its polesitting driver, Will Power, were awakened in the middle of the night and briefly forced out of their hotel rooms. That was the first quake. The second came about 12 hours later, when Dixon won the race and Power finished 10th. Power retained his commanding lead in the championship standings, which is now a three-way battle with Helio Castroneves and Simon Pagenaud. 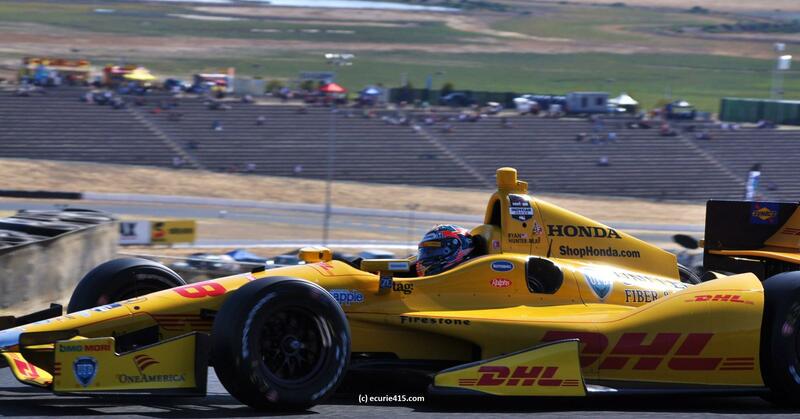 Andretti Autosport’s Ryan Hunter-Reay finished second at a circuit where his team historically has struggled to find performance. After failing to make the Firestone Fast Six in qualifying, Hunter-Reay was one of several who benefited from a first corner incident involving James Hinchcliffe, Helio Castroneves, Ryan Briscoe and Sebastien Bourdais. 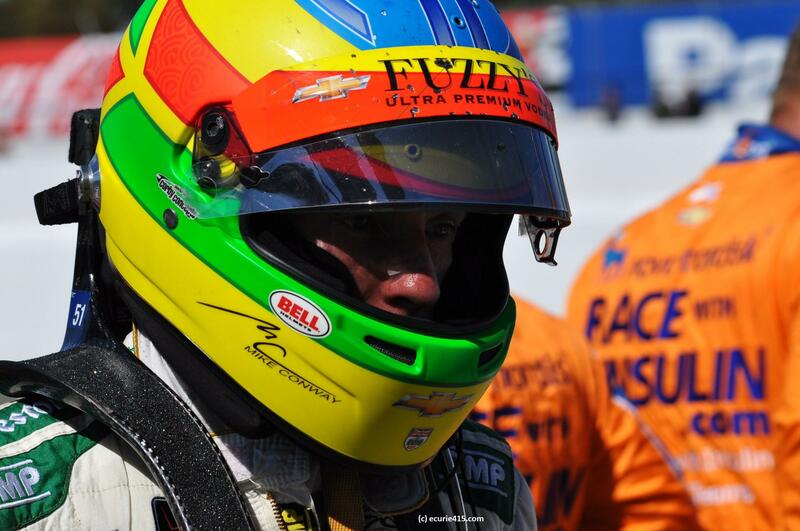 All would continue, but Castroneves’ title hopes were dealt a setback. 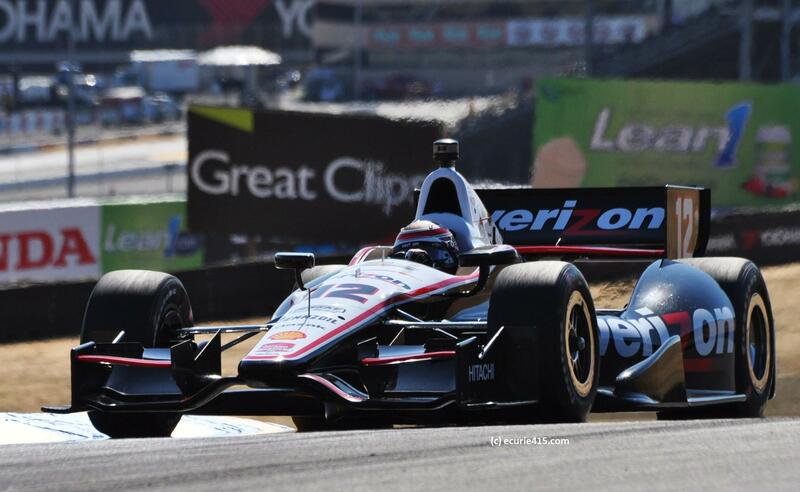 Simon Pagenaud finished third for Schmidt-Peterson Motorsports, an impressive result after a difficult weekend. Dixon had to pedal for the win, but a succession of fuel-starved Dallaras fell by the wayside and lightened his task. Ed Carpenter Racing’s Mike Conway took the lead on lap 40, thanks to an alternate fuel strategy after a mediocre qualifying (P17). The gamble was paying off until Graham Rahal passed Conway, who was trying to save fuel but also knew that Rahal had to stop before the finish. At that point, one of Conway’s pit crew members pointed at the name below Conway’s on the timing sheet: Scott Dixon. Dixon was gaining, taking advantage of fresh rubber against the scuffed Firestone reds Conway took on his final stop. Conway – conserving every precious drop of Sunoco fuel – was passed by Dixon on lap 83. “I was doing all I could to keep those boys behind,” the Englishman said, spent after another shrewd charge to the front. Conway’s car ran out of fuel on the final lap, and he coasted across the finish line before stepping out for the long walk back to his pit. Dixon had enough for the finish, and the win. “I think the team did a fantastic job with the strategies,” he said. By winning, Dixon reached fifth on the career win list, joining Bobby Unser. Although Dixon remains a mathematical possibility for series champion, Power retained a 51-point lead ahead of the season finale at Fontana. Pagenaud and Hunter-Reay were both eager to see the updated points tally after the post-race press conference, but only Pagenaud has a legitimate shot, should both frontrunners falter. While Hunter-Reay and Pagenaud were startled to find the earth moving at 3:20 am, Dixon remained blissfully unaware. 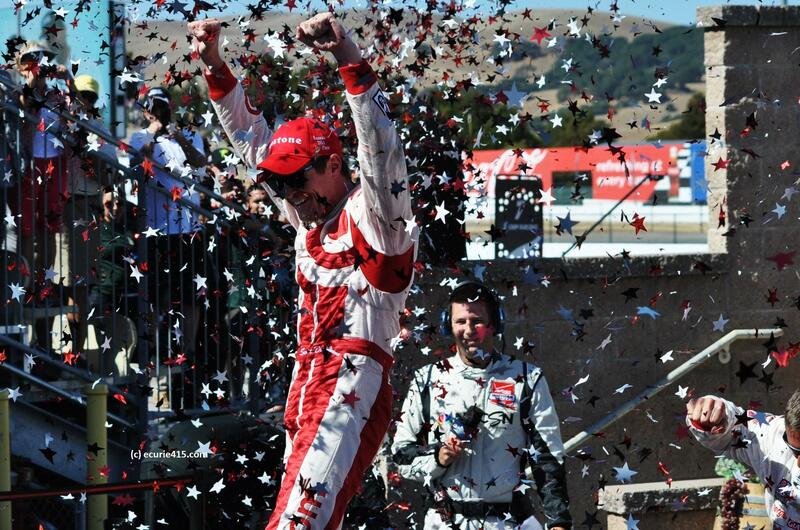 Maybe it’s the relaxed Kiwi nature, but Dixon was no worse for wear from his Sonoma shaker. You can’t say the same about the rest of his championship rivals. 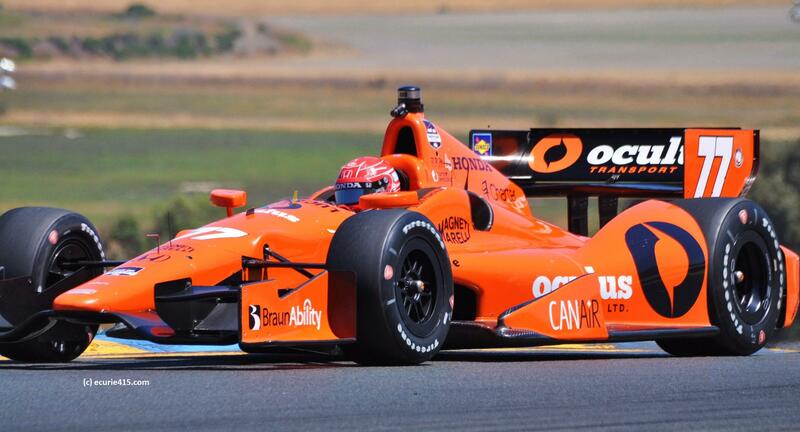 This entry was tagged GoPro Grand Prix, IndyCar, Scott Dixon, Sonoma. Bookmark the permalink.